SAML setup: If you do not have SAML authentication set up properly and do not have SAML activated, you do not see any warning messages as they would only go away if you activate the plugin and install all the required dependencies. 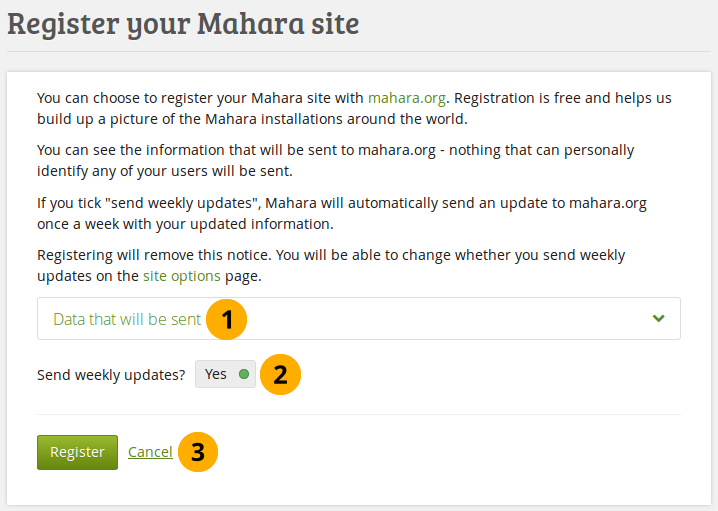 A number of elements are cached in Mahara on the system level to speed up the site. 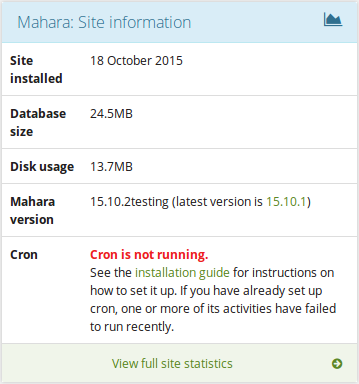 In some cases, you may wish to force a new version though if the browser doesn’t recognize it on its own. 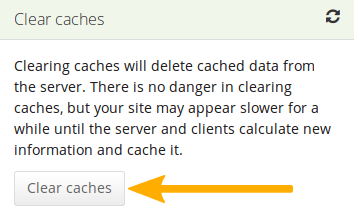 Click the Clear caches button to clear all caches. The caches can also be cleared via a commandline script, which system administrators can find in /admin/cli/clear_caches.php. 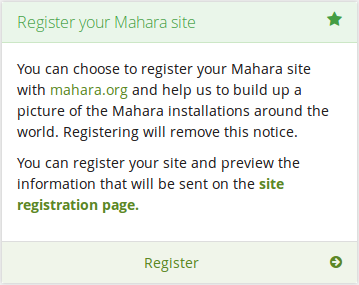 You may close the site to everyone except administrators. This is useful when you prepare for and complete a database upgrade. 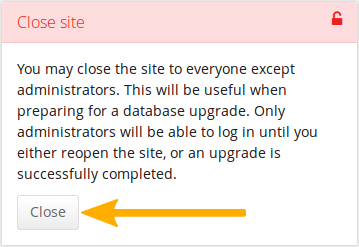 Only administrators will be able to log in during maintenance mode until you either reopen the site or an upgrade is successfully completed. 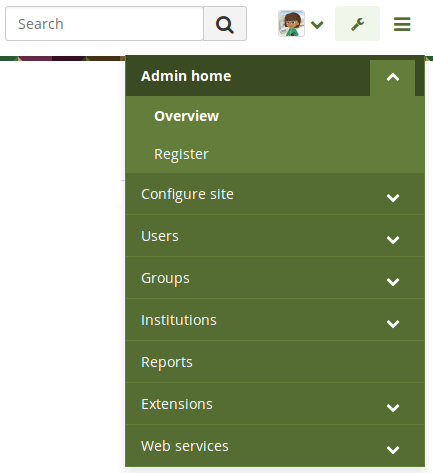 Since the site is not accessible to anyone unless they are logged into the site as site administrator, certain processes would also fail, e.g. accessing the SAML metadata that is monitored by IdPs. 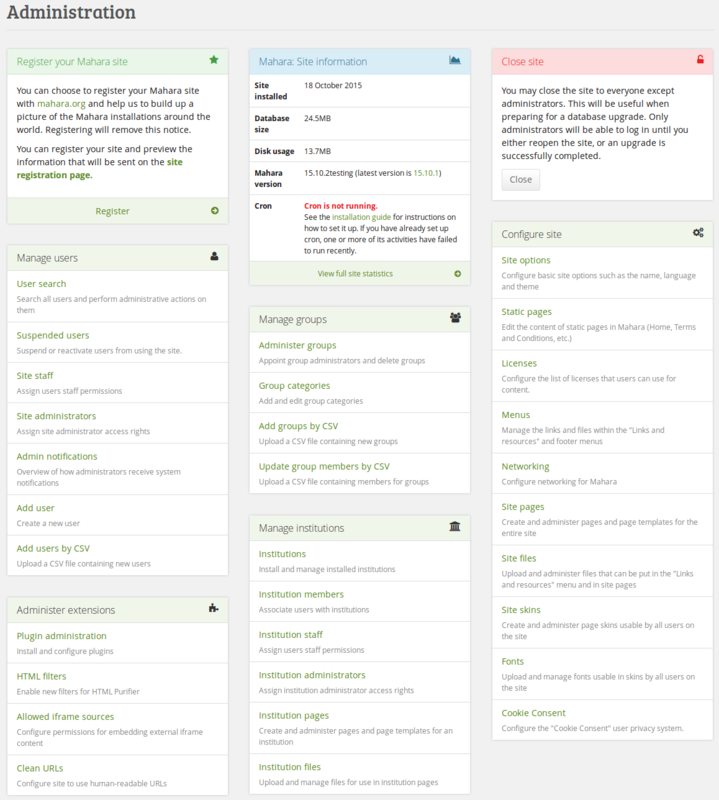 It is possible to add a flag to a php file to ignore maintenance mode.